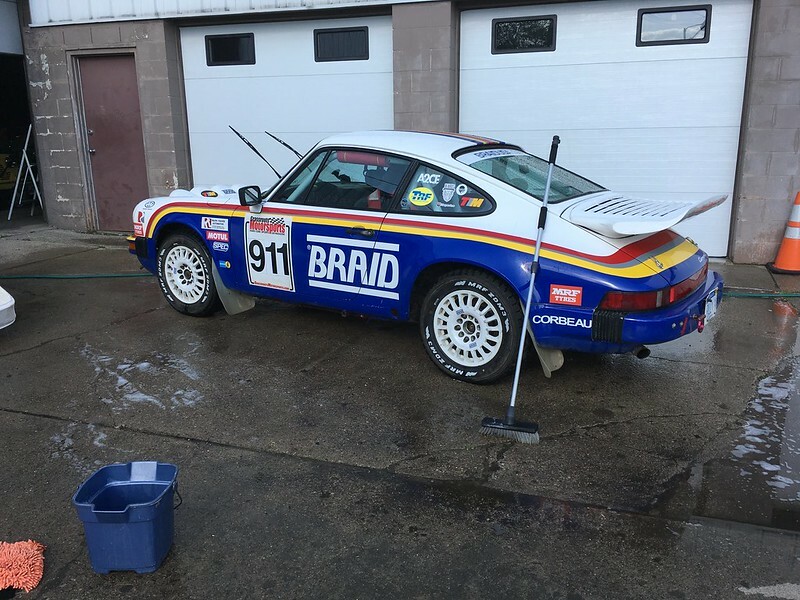 As we were going to display, spectate and ultimately compete in our 911 CarreraRX we felt we should at least start it out clean. It was a five hour uneventful drive down to Chillicothe under gray skys. The weather forecast was not promissing for the weekend but in the end it was not too bad, the rain holding off most of the time and thunder storms restraining themselves quite nicely. Still, we decided to set up our display inside the enclosed trailer just in case. 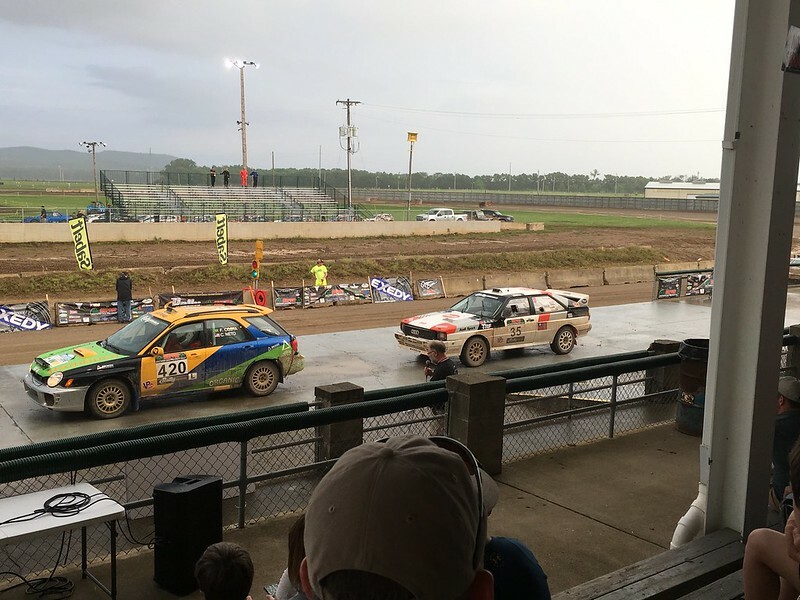 That's the Audi Quattro run by Thompson Racing Fabriction with a BRAID wheels-shod Impreza in the foreground. 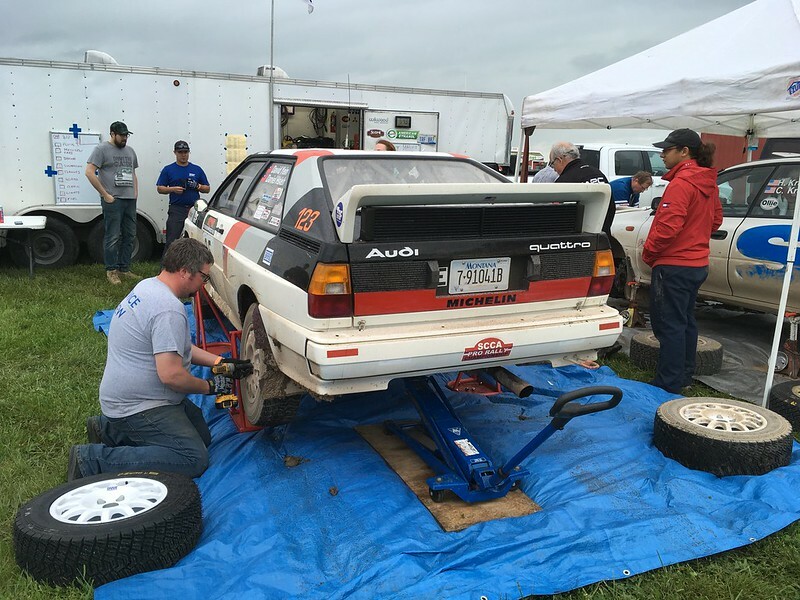 Here is the Quattro later in service getting its BRAID wheels and MRF rally tires expertly swapped out. and later lining up for the super special stage. These two appear to be inseperable. Our customers did very well at this year's SOFR. Best result was by the Fetela Rally Team who won overall on our MRF rally tires. Congratulations also to Nathan Usher / Marianna Langosch (BRAID wheels, MRF tires) 6th overall and 2nd in Open Light. 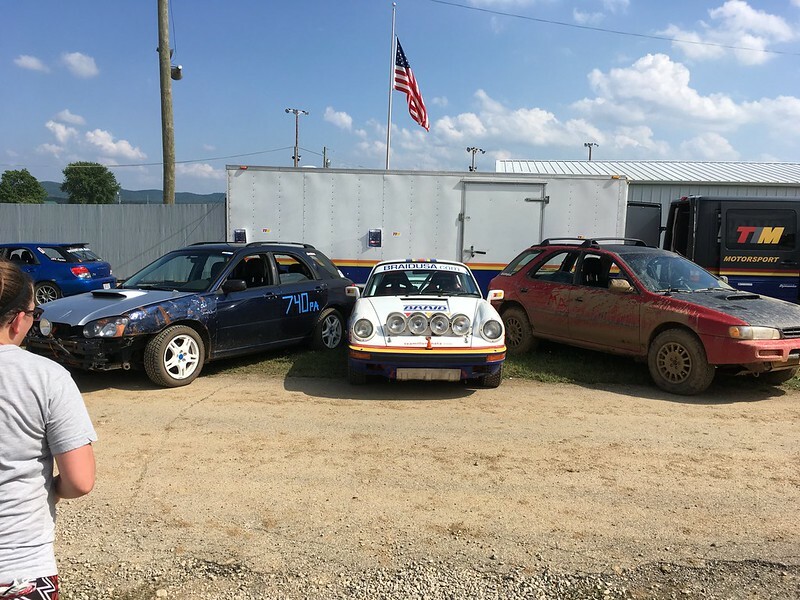 On Sunday it was our turn to strut our stuff in the Ohio Valley Region RallyCross held at the same venue as the previous night's super special. The weather had broken and we were greeted to some sunny and muggy conditions. The course was still rather damp in the morning but dried out and got faster during the day. Despite some timing issues and double their normal entries the OVR team put on a great event with hardly any down time. Despite a spin and overshooting a tight bend, as can be witnessed in these videos, we managed to secure our first win and cone-free event for a very long time. Beyond this it was great to hang out with old friends and make some new ones too. 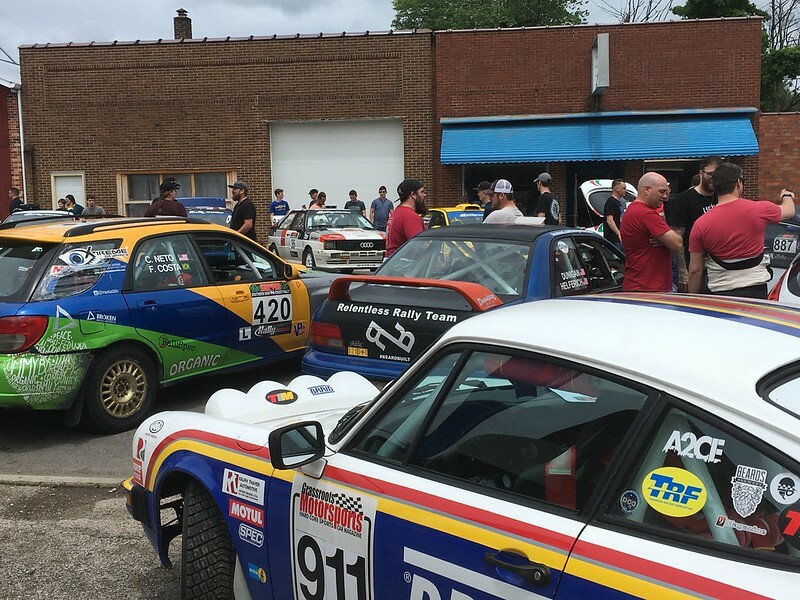 Our next official outing looks like being the Concours of America in our 85 Audi Quattro. Not a lot of action but should be a great day out.